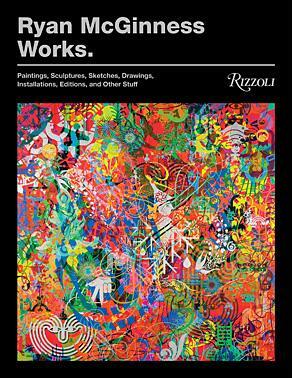 Ryan McGinness: Works. details the myriad materials and unique processes McGinness uses to make his iconographic, densely layered paintings, sculptures, installations, and editions. Every page of this volume provides influences, process shots, models, and sketches of recent works. Contributions from David Byrne, Tom Greenwood, Peter Halley, Greg Lindquist, and Jonathan T. D. Neil round out this comprehensive portrait of McGinness and his studio practice.